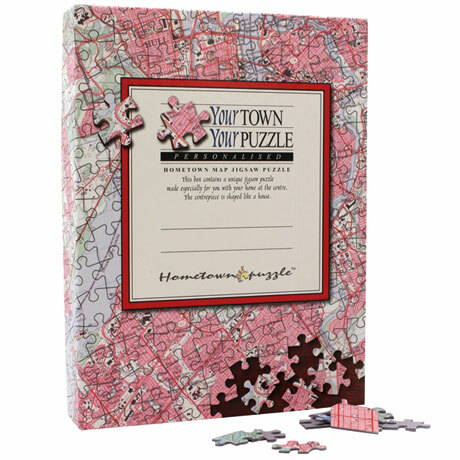 Individual, thoughtful and unique, a made-to-order map jigsaw puzzle, a fantastic gift. 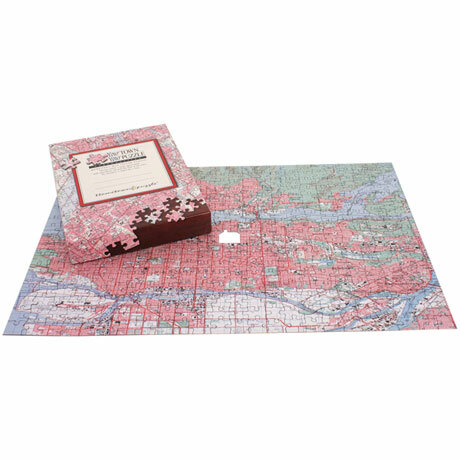 Using the National Topographic System map base of Canada, digitally seamlessly stitched together, a high-quality jigsaw puzzle can be created centered on the exact address supplied. 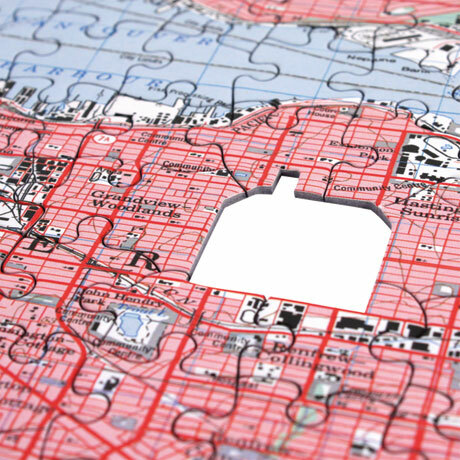 The map covers an area 14 ½ miles East-to-West and 9 miles North-to-South and is made of up to 400 pieces. 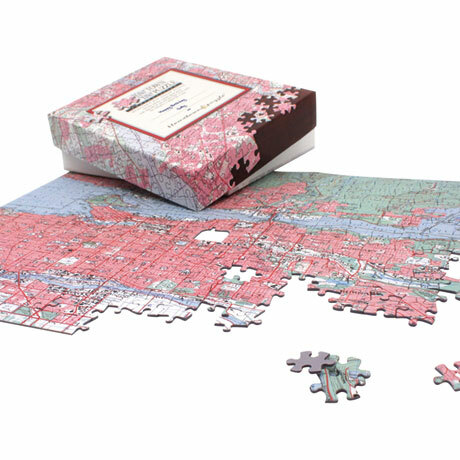 Each jigsaw is individually made-to-order using high quality 1.5mm Millboard, hand finished by expert craftsmen. Scale - 1:50000 Assembled size - 12 ¼ x 18 ½ inches. 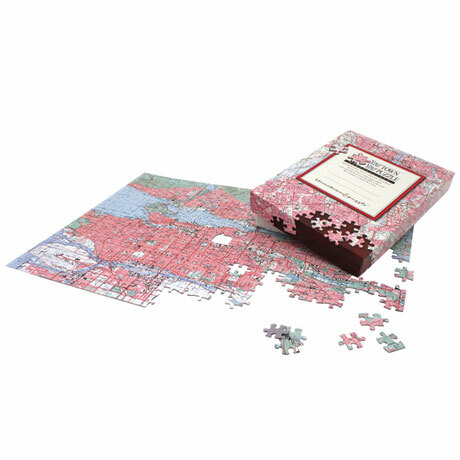 The puzzle arrives in an attractive presentation box, the box lid is printed with space to add a special gift message. 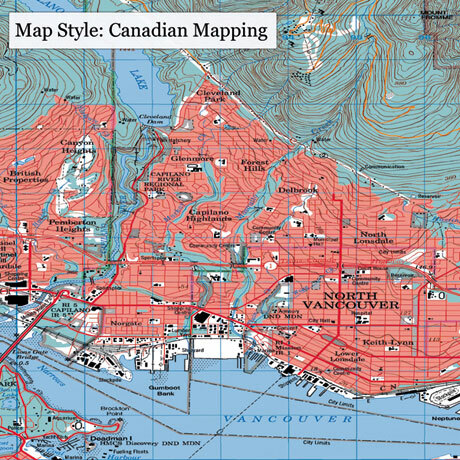 Specify street address, city, province (or territory), and postal code. Extra fun detail, is that the center piece is shaped like a house - the perfect place to start. Allow 4 weeks for delivery. No rush delivery or gift box.